Sapphire is a variety of the mineral corundum, an aluminum oxide, in the same family as the ruby. The major difference between ruby and sapphire is its color, ruby having a very strong red hue, and sapphire often in a rich shade of blue. For many centuries, sapphire has been connected with royalty, love and protection. In 1981, Britain’s Prince Charles offered a blue sapphire engagement ring to Lady Diana Spencer as a representation of this belief. In ancient Grecian and Roman times, kings and queens believed that blue sapphires sheltered owners from those who were envious of their status and others who would want to inflict harm. Throughout the Middle Ages, clergymen adorned themselves in the blue stones to signify Heaven, with the belief that the gem attracted heavenly blessings. Many others throughout history have held true to the idea that sapphires guarded chastity, brought about peace between enemies, encouraged spirituality, and exposed the secrets of oracles. One version of sapphire – an orangy pink stone – is called “padparadscha,” meaning “lotus flower” in Sinhalese – the native tongue in Sri Lanka. Sri Lankan stones were initially the only ones to have such a profitable label, as countless padparadschas have been sifted from Sri Lankan river throughout history. Sapphire’s formula is Al2O3 (aluminum oxide) and has a trigonal crystal system with massive and granular crystal habits. Its color and brilliance are a product of the impurities they obtained when hardening with the earth’s crust. Tiny traces of elements like iron, titanium, chromium, copper, or magnesium can give this corundum variety its blue, yellow, purple, orange, or greenish color. While it does happen that some crystal growth processes generate near net shapes, virtually all components of the gemstone must be gathered from these shapes by means of cutting, refining and polishing. In its purest form, aluminum oxide is a white, chalky material used frequently as an industrial abrasive. As sapphire is heated to 2050°C (nearly 4000°F), the powder-like substance liquefies, allowing it to be restructured into one individual crystal by means of multiple crystal-growth method, though it cannot be molded, drawn or cast. The stone must be grown into a precise shape as ordered by the chosen growth process. 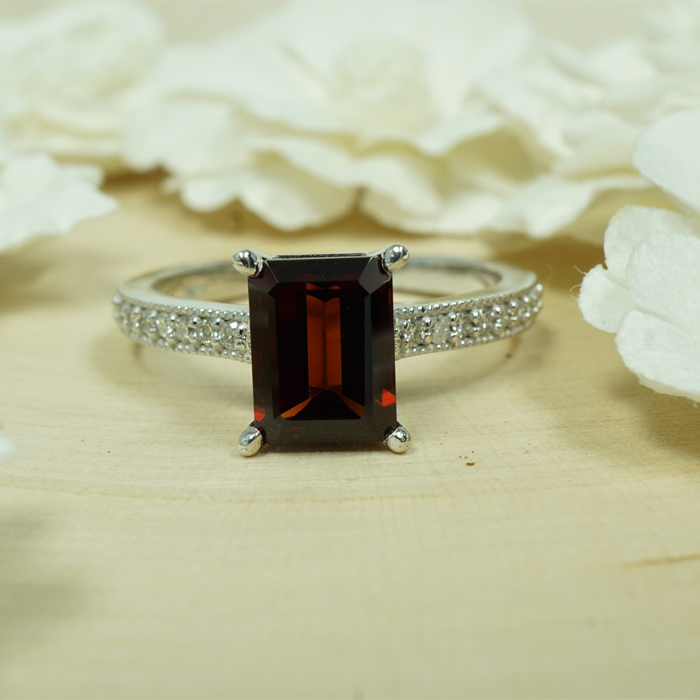 Man-made, synthetic sapphire gems also have the single-crystal rhombohedral structure as the natural stone, but it has nearly perfect purity and clarity. A star sapphire can develop when corundum grows in tandem with fibrous inclusions of rutile, also referred to as “silk.” When the silk reflects light in cabochon-cut stones, a six-rayed, sometimes 12-rayed star seems to soar along the gem’s surface as it is moved. This effect is known as asterism and escalates the stone’s rarity and value. The Star of India is the most well-known star sapphire, dating back nearly 300 years. A flawless blue color and large, golf-ball shape, the Star of India is recognized as a stone of powerful religious importance, and can be located at the American Museum of Natural History in New York City. 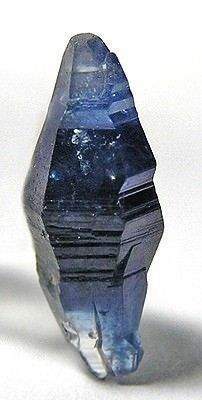 Madagascar is the leading producer of sapphire, as of 2007, specifically in the deposits found in the town of Ilakaka. Prior to this, Australia held the title for largest producer of sapphire in the world.